Take only a taxi at the taxicab stand! A few years ago, three taxi companies won a public auction to operate from the official taxicab stand at Amsterdam Airport. After the auction, many taxi companies were no longer allowed to pick up passengers from the national airport. The result was they went to court. The court decided in the end that every legal taxi company in the Netherlands has the right to operate from Schiphol Airport. Since then it’s a mess if you are looking for a taxi Amsterdam Airport. Taxi drivers (working for their own) and scammers are looking at the airport square for passengers to take them into their taxi. Legal taxi’s are allowed to wear a vest with “Official Taxi”. Unfortunately also the scammers are wearing vests with “Official Taxi”. Security is on the square but they only can warn passengers and sent scammers away. 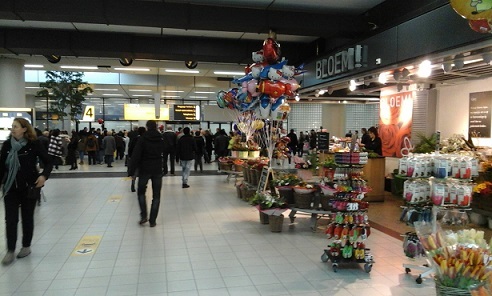 If you step through the door of the customs than you are in the Schiphol Plaza. Go to the main square and follow the signs on the floor with ‘route to official taxi stand’. 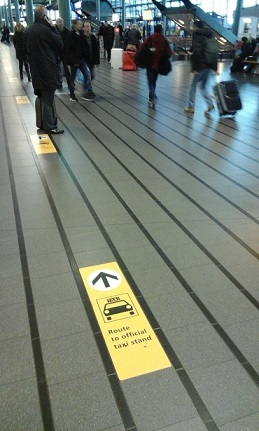 This official taxi stand is just outside Schiphol Plaza. Don’t go with people wearing “Official Taxi” because you have a big chance you will be scammed. The scammers take you to the garage where their taxi’s are parked. A standard rate of a taxi Amsterdam Airport to the city center is about 50 euro. The scammers ask prices between 100-500 euro. Especially Asian tourists are their target. If you agree a fixed price of 50 euro with a scammer then it’s 50 euro per person at the arrival. Or the scammers ask 25 euro for one suitcase. Don’t take the risk but ignore those (rude) scammers and walk outside to the official taxicab stand. It took a few years time but the scammers are prohibited to hang around in the arrival hall and in the area to the legal taxi’s. Still people can approach you if you want a taxi. Ignore these people and follow the signs to the legal taxi stand outside. The train is operating 24 hours a day. In the middle of the night the train is leaving every hour from the airport to Central Station. The travel time is 13 minutes and the fare is €4.20. 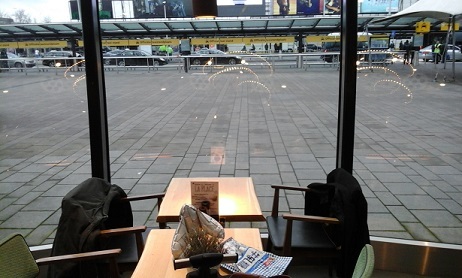 After 00.00 hours there are no trams or metro’s running in Amsterdam city center.